Superior award winning hospitals and health care networks. CarolinaEast Health System: Experience Our Experience. Feel Our Care. The crown jewel of the coastal Carolina medical community is CarolinaEast Health System. This leading edge organization is comprised of the 350 bed CarolinaEast Medical Center in New Bern and physician practices delivering care for all phases of life from offices in four counties. CarolinaEast Medical Center continues to receive accolades for the quality of the care delivered by over 2,200 employees and physicians who make up the CarolinaEast family of providers. Business North Carolina magazine annually names “The State’s Top Hospitals” and the 2016 list had CarolinaEast included in four categories. The Business North Carolina “Top 25 Best North Carolina Hospitals” saw CarolinaEast tie for fifth place based on criteria from several respected rating agencies including Centers for Medicare and Medicaid Services, Blue Cross and Blue Shield, U.S. News and World Report and The Leafrog Group. Blue Cross and Blue Shield ranked CarolinaEast Medical Center a Cutting-Edge Hospital for Cardiac Care and U.S. News and World Report named CarolinaEast a Top Performing Tar Heel Hospitals regionally for Chronic Obstructive Pulmonary Disease (COPD) and Heart Bypass Surgery. Other quality rating entities echo the Business North Carolina analysis of CarolinaEast’s quality. Healthgrades named CarolinaEast one of “American’s 50 Best Hospitals for Cardiac Surgery” and Blue Cross Blue Shield has awarded the organization with its coveted Blue Center of Distinction+ for Maternity Excellence. 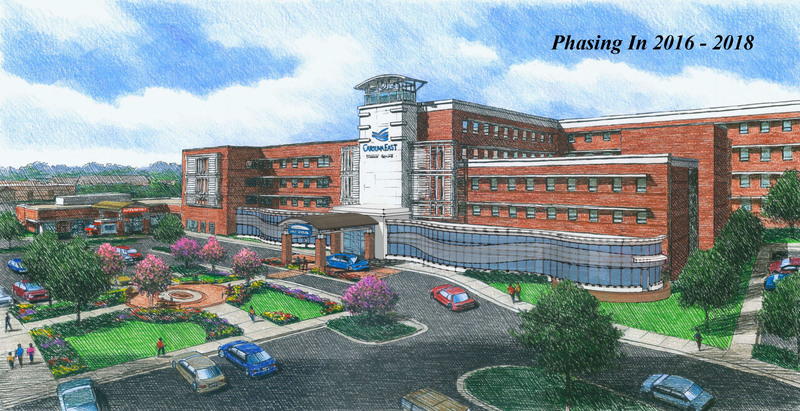 Currently undergoing the largest expansion in its 53 year history, once completed CarolinaEast will include an expanded and enhanced emergency department, a new women’s and children’s health pavilion, additional operating rooms and a comprehensive cancer center being developed in partnership with renowned UNC Cancer Care. For more information, visit CarolinaEastHealth.com and CarolinaEastPhysicians.com. The Craven County Health Department oversees the well-being of all area residents who seek maternity care, well-baby care, dental care, and family planning assistance. The quality of life and excellent medical facilities available in New Bern have attracted many high-caliber specialized physicians and health care professionals to the area, thus providing residents with access to services not available in many comparably sized towns.